In the title story of his collection Southerly (trans. 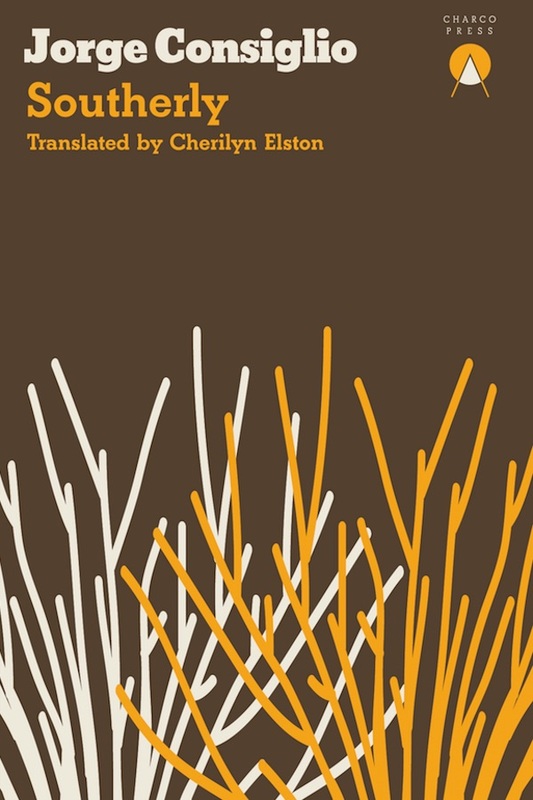 Cherilyn Elston), Jorge Consiglio establishes a mise en scène — to borrow a term often used in this book — that is coloured by passionate obsession and shaped by small twists of fate, apparently insignificant details, which at first unhinge the protagonist and then clarify his destiny. All of the stories gathered in this remarkable collection — the first of Consiglio’s books to be translated into English — belong to a world thus conceived. The universe described here is distinguished by strange doublings and the insinuation of dreams into reality. In it, each character is also another, geography determines events, and time is at once fragmented and disconcertingly continuous. This is a world in which past, present, and future are interwoven to disquieting effect. Given Consiglio’s obsession with time, it is perhaps unsurprising that he invokes a literary inheritance. In ‘Jessica Galver’, the narrator’s boyfriend Simon “uses Chekhov’s works [and his first play, Platonov (1923), in particular] as if they were the hexagrams of the I Ching”. Echoes of Stefan Zweig’s Chess (1941) are to be found in the recurrent references to the game, as well as the psychological and other forms of mirroring experienced by many of Consiglio’s characters. But it is in ‘Southerly’ — a loose retelling of Jorge Luis Borges’s short story ‘The South’ (1944) — that Consiglio most clearly claims his inheritance. Both ‘The South’ and ‘Southerly’ open with the protagonist’s grandfather’s migration from Europe to Buenos Aires. Both protagonists suffer a debilitating illness and are brought to the brink of death in the pursuit of their particular obsession: a rare edition of Gustav Weil’s translation of the Thousand and One Nights for Borges’ Juan Dahlmann, and analyses of historical chess games for Consiglio’s Anatol Zakowicz. During their convalescence, both men travel south, which as “everyone knows”, according to Dahlmann, “begins on the other side of Avenida Rivadavia”. Having arrived in the south — for Anatol at the moment he crosses Rivadavia Avenue, and for Dahlmann when nearing his family home in the flatlands — each man commits himself to a violent confrontation which is, in Consiglio’s words, “as necessary as it is senseless” and instils in him a renewed sense of wellbeing. In this book the experience of time is a recurring theme, as is the juxtaposition of the human and non-human worlds. Like Dahlmann’s isolation from the cat he is stroking, in Consiglio’s stories a shift in the successive flow of human time can result in a man becoming “separated as though by a pane of glass” from himself as well as from the world around him. 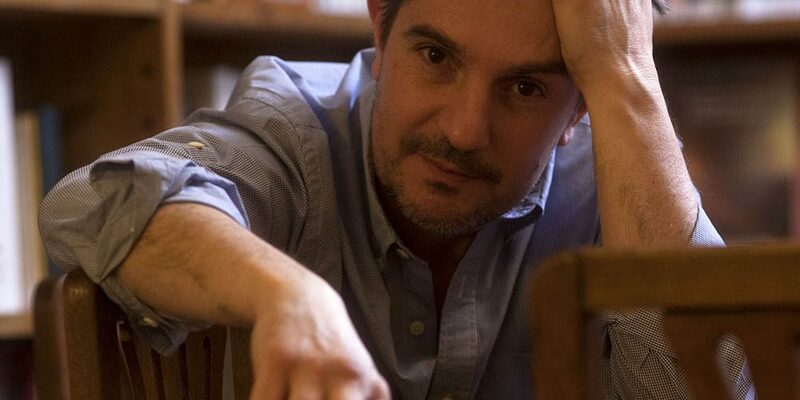 In ‘Travel, Travel’, one of the most transfixing stories in Southerly, the protagonist, Canedo, returns to his childhood home in the Pampas to prepare it for sale. Towards the end of the story, following a meeting that “holds the key to his fate”, Canedo is involved in a car accident: “The accident was a temporal discontinuity, a fracture in the progression of time.” Having fallen out of successive human time, Canedo descends into a Borgesian labyrinth and discovers a reflection of himself — “as if an enormous mirror were refracting the landscape” — or as if he were seeing another, doubled world through the looking glass. believes… that speed is the greatest virtue. … [H]e loves technology: there’s nothing faster than communications technology. He buys the latest tablets and smartphones. He’s not interested in owning a status symbol, but in affirming himself in the present. He rubs his hands together, they feel gnarled, full of tendons, fibres, and blood. Canedo has transitioned from a temporary to a full life. He crossed the threshold almost without noticing. More than willpower or imagination, he has a different perception of time. He achieved this, without trying, through manual labour. At the end of each shift, those coming out are not the same as those who entered. They’ve become moles. They have no eyes, their hair is straw, their skin burns or is forgotten altogether. They’re dead tired. Ready for oblivion. It’s normal to see them staring at their hands. They don’t know what to do with their free time. While they grind fish bones they grind themselves down. They end up becoming the poorest kind of meal. It is no coincidence that Canedo becomes himself while working on his childhood home. In The Poetics of Space (1964), phenomenologist Gaston Bachelard describes the house — and the childhood house, in particular — as “a psychic state”. He writes of the “passionate liaison of our bodies, which do not forget, with an unforgettable house”, and the ways in which “the house remodels man”, including via “the nostalgia for work.” From the moment of his return Canedo is literally remodelled by his childhood home: “He straightens himself up, leans on this elbows, and becomes an exact image of the bureau, the table, the six chairs and all the things that let themselves go in this place.” His experience in the Pampas captures the deep connection between the past and the present, as well as the presence of the future (those meetings and events that hold the ‘key’ to a character’s predetermined fate). Always, in Southerly, these temporal connections are experienced in place. Previous complaints about the severing of time from nature had to do with the insertion of clock time into the cycles of days and seasons. But our cognition of time is no longer even linked to the time through which we physically move. Rather, our experience of temporality is becoming increasingly deterritorialised and virtual. … [W]hat is at stake is… the politics of experience. Our transactions with time… have profound consequences for the quality of our lives and the deep processes of subjectivity. One way of reading Consiglio’s stories is as a corrective to this deterritorialisation of temporality and experience. In Southerly, time and place persistently intertwine. Time moves at different rates in different places: the narrator of ‘Jessica Galver’ observes that “[i]n the garden the day is just beginning; but in the office it’s almost midday”. And Canedo’s changing experience of time is directly linked to his shift away from technology towards the performance of manual labour, and the increased quality of life and subjectivity that develops as a result. Place, in Consiglio’s stories, can (and frequently does) determine temporal events. The thresholds that his characters cross are at once actual and symbolic and they have real, lived effects. Anatol crosses Rivadavia Avenue and enters a world of senseless violence. In ‘The Terrace’, a group of teenagers meet on their school roof in a spatial and behavioural transgression that has fatal consequences. In ‘The Running Man’, the narrator’s slight deviation in routine leads him into a violent landscape which “candidly orchestrated the rhythm of things and determined our choices”. And in ‘The Night Before’, Consiglio opposes coloniser and indigenous relations to the land in a way that emphasises the alienation of one and the belonging of the other. Here, the “landscape slowly crushes the spirit” of the invaders while an indigenous woman looks out with “the gaze of someone used to arid landscapes, vast distances, the open sky”. Place, in this collection, determines subjectivity. But Consiglio’s reterritorialisation of time and experience extends beyond character and event. Rather, temporality and territory are entwined in the material composition of his narratives. Due in part, perhaps, to his Borgesian inheritance, there is a timeless quality to Consiglio’s prose. This accentuates the shocking intrusion of iPads, smartphones, and tablets which immediately date the events described and which induce a sense of temporal vertigo in the reader. For a week he’s been trying to scrub up the house. Every day he feels better, stronger. He observes himself in the mirror and tries to note, even down to the tiniest detail, how the physical activity is changing his body. Yesterday he started work on the pitch pine in the dining room. He removed three strips. He spent a moment tracing the grain of the wood with the tips of his fingers. He wanted to understand its logic in order to succumb to the natural order. He is obliging with the world. He tries to behave as is proper. Such changes in tense — this is only one of many possible examples — are disquieting in their subtlety. The effect is a narrative deeply connected to place and time, but beneath which the ground perpetually shifts. Will Canedo come to understand the natural order of things? Or, like Dahlmann, will he be separated from the non-human world “as though by a pane of glass”? The uncertainties of Southerly — induced by a change in tense as in ‘Travel, Travel’, or the mirroring of one character’s biography in that of another, as in ‘Southerly’, or the evidence that “[e]ven the most harmless detail becomes a threat” as in ‘Jessica Galver’ — make the experience of reading it not unlike falling through “a fracture in the progression of time”. 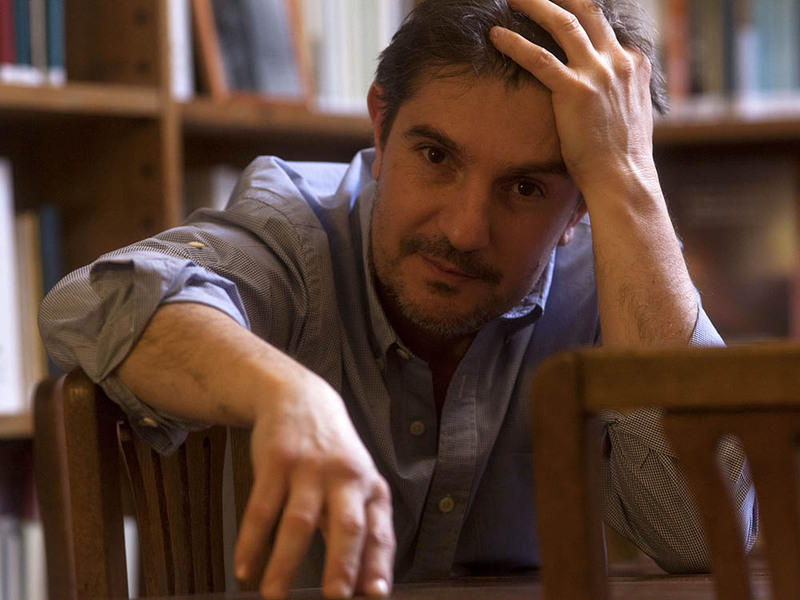 Jorge Consiglio is a storyteller of rare ingenuity, and Edinburgh-based Charco Press are to be commended for making his work — alongside that of other contemporary Latin American authors — newly available to Anglophone readers.